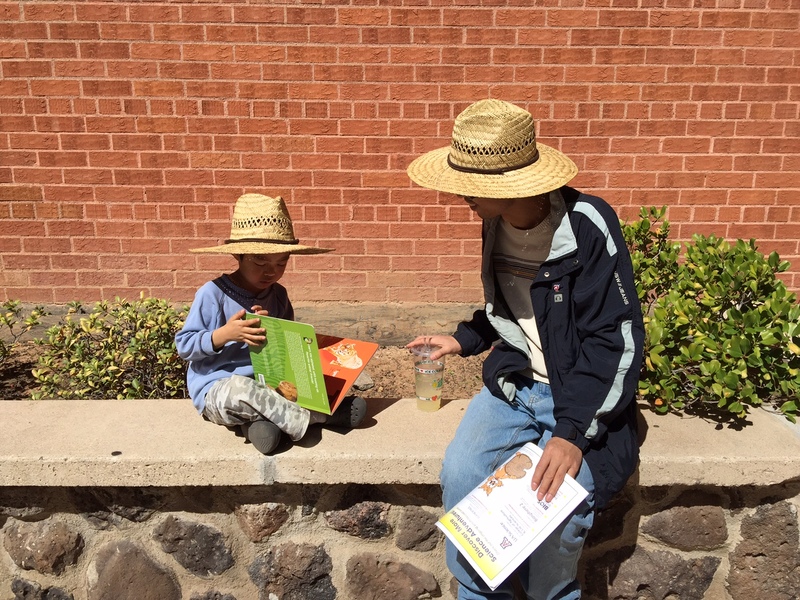 The Tucson Festival of Books (TFoB) ended yesterday with 140,000 of my best friends celebrating literacy. I arrived on the University of Arizona campus Saturday 8 a.m. and finally left reluctantly after singing and dancing to the music of José Luís Orozco 5 p.m. on Sunday. Lots of his music right here. If you read the previous WinkWorld, you may remember that I was worrying about having to miss Jonathan Kozol. Not to worry. Another highlight for me was working the Teachers’ Professional Development table with a local high school girl. I asked her if she had any fantasy books, which she could recommend as gifts for Wyatt and/or Luke. Check our her list here, and she continued on the other side. An avid reader, indeed. 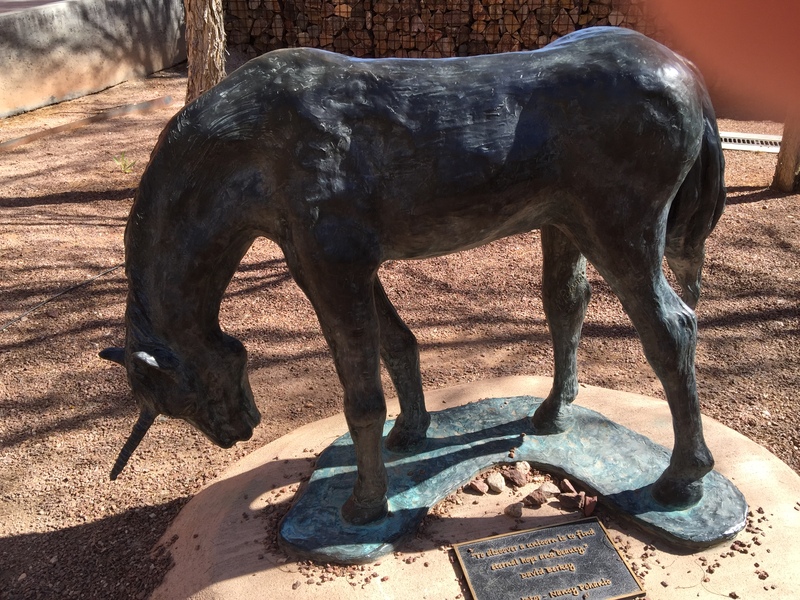 She also told me about a unicorn on the UofA campus: Who knew? However, my absolute FAV photo of the TFoB is posted below. I found these two right outside the Free Books Tent. Thanks, Stocker Foundation! What a great Festival of Books!!! I’m jealous. 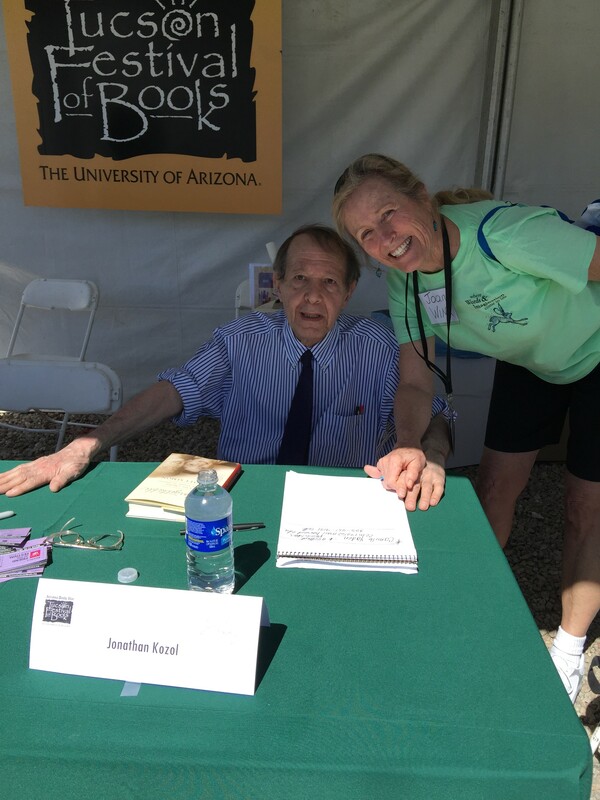 Jonathan Kozol! And I’m in heaven thinking about that young girl you asked about books. 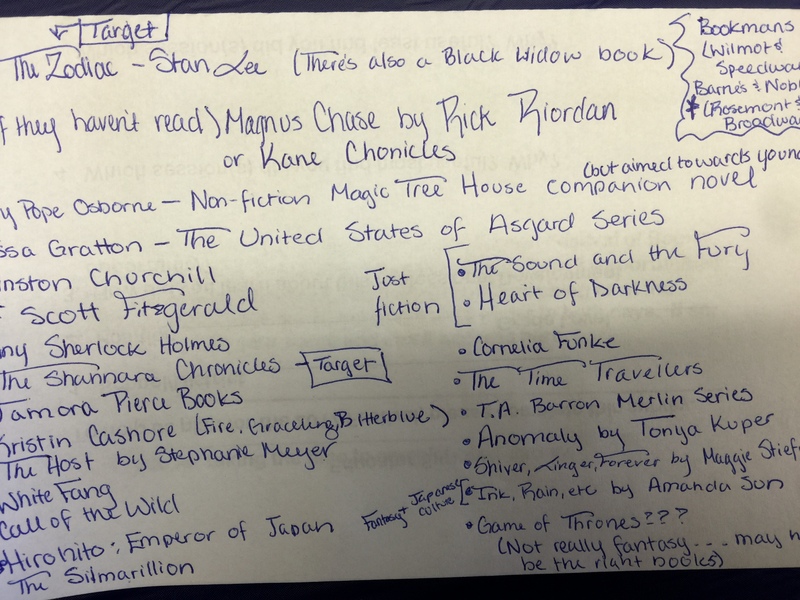 If only every kid could tell us about lists like that!! Or lists of books period. She is truly extraordinary! !